Without written records, it has been determined that the first school in the vicinity of Deer was located about two miles southwest of the present Deer School, this being at the junction of state highway 16 and the Limestone road. This school was in operation from probably the 1880's until about 1910 - with some of the last teachers being Columbus Benegar, Polly Snow and Deck Tony. By 1895 a one room log school was established on the present Deer School grounds and the school at the Limestone junction continued for several years and eventually closed with the patrons going to Hickory Grove and some to Deer. 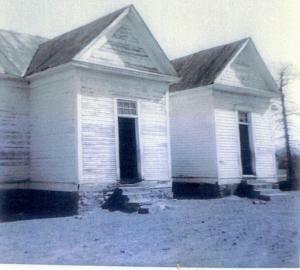 In 1903 a new one room frame school was constructed and J.W. "Jap" Brasel was the first teacher in this building. This building was well constructed with a very ornate bell tower "belfry" on top. This bell could be heard for a long distance. This building served its purpose well until the mid-twenties and school population was growing - and in 1926 a curtain was put across the room, thus making two rooms and two teachers, Duster Sutton and wife Clydus were employed as teachers. In 1927 a second room was built onto the school. the rooms were identical, each having a belfry, over a small room, which also served as a cloak room. 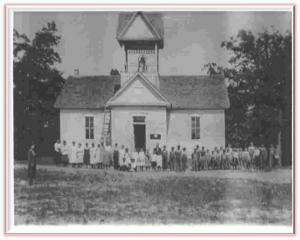 By the date 1920's, better roads and transportation had improved until the legislative advocated and passed laws mandating the consolidation of small schools. In 1929 the following schools: Deer, Hickory Grove, Mineral Springs, Cross Roads, Gum Springs, Pleasant Hill (Cowell) and Lurton consolidated to form the Deer Consolidated School. A new 6 room and auditorium was built to house the new school. 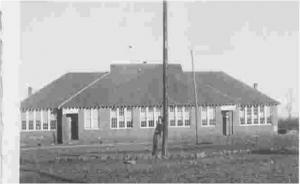 In the late fall of 1930 the new building was completed and ready for the students. The full term of 1930 had already started in late August - with some of the high school classes being held at Cross Roads and Cowell, with those students being transported in 3 new 1930 Chevrolet buses - the 1st buses of Deer School. After the formation of Deer Consolidated School, other school districts wanting to take advantage of a high school for their children consolidated with Deer. In 1948 an initiated Act was passed by the people of Arkansas, which simply stated that a school with fewer than 350 students had to consolidate with some district. With the passage of this act, the schools of the southern part of Newton County were brought into the Deer School System. To the original seven schools that made up the Deer District the following schools were eventually consolidated: Macedonia, Copper's Bluff, Chancel (Hurricane), Red Rock, Wayton, Union Grove, Swain, Walnut, Limestone, Moore, Sandy Gap, Oak Grove, Mossville and Shiloh. A few of these schools maintained a school for lower elementary grades, called wing schools, for a few years - while the upper elementary and high school students were transported to Deer. 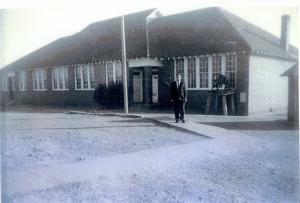 In 1961 the last wing school, Lurton, was brought to Deer. When consolidation was completed the total enrollment of the system was around 650 school children scattered over 181 square miles. With consolidation growth it became necessary for more buildings. 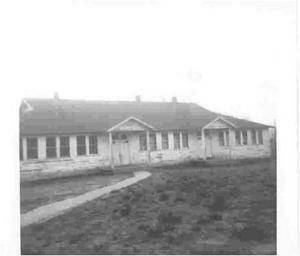 A new elementary with 6 rooms was built in 1948. A vocational agricultural building had been built in 1941-42. The community building, a big part of the school, was finished and moved into in 1969. January 1, 1970, the original high school burned. This was replaced the next year with a gymnasium and cafeteria under the same roof. The old gym was finished in 1954 and torn down in 1972. A new school garage was finished in 1982, a home economics building was built in 1981. The elementary was built beginning 1967 with the last 4 rooms added in 1985. The present vocational building was built in 1986-87. (This is the end of Mr. Cowell's portion of the history) to be continued.